What a *good* snow year looks like at Razor Hone! Welcome to the electronic home of the Nooksack Nordic Ski Club. 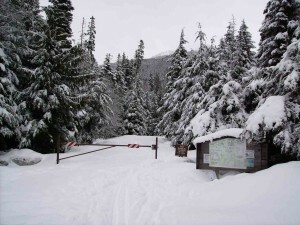 Supporting all things cross-country skiing in Whatcom County (Washington), this site includes information on where to ski and what to expect. Look around the site – there is information on overnight ski trips to destination ski areas, grooming reports for our local trails, information on the next monthly membership meeting, and forms for joining us. Go East on SR 542!